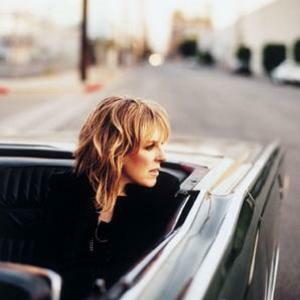 Lucinda Williams (born January 26, 1953) is an American rock, folk, and alt-country songwriter and singer. A three-time Grammy Award winner, she was named "America's best songwriter" by TIME magazine in 2002. Williams has garnered considerable critical acclaim but her commercial success has been moderate. She has a reputation as a perfectionist and as a slow worker when it comes to recording; six years passed between the release of her second and third albums. However, she frequently makes guest appearances on other artists' albums and contributes to compilations and soundtracks. Williams has garnered considerable critical acclaim but her commercial success has been moderate. She has a reputation as a perfectionist and as a slow worker when it comes to recording; six years passed between the release of her second and third albums. However, she frequently makes guest appearances on other artists' albums and contributes to compilations and soundtracks. She has recorded with Elvis Costello, Nanci Griffith, John Prine, Leftover Salmon, and Steve Earle, among others. She has also opened concerts for artists such as Neil Young. Williams was born in Lake Charles, Louisiana, the daughter of poet and literature professor Miller Williams. Her father worked as a visiting professor in Mexico and Chile as well as different parts of the American South, before settling at the University of Arkansas. His daughter showed an affinity for music at an early age, and was playing guitar at 12. The long-awaited release, 1998's Car Wheels on a Gravel Road was Williams' breakthrough to the mainstream. Containing the single "Still I Long for Your Kiss" from the Robert Redford film The Horse Whisperer, the album received wide critical notice and soon went gold. It received a Grammy Award for Best Contemporary Folk Album. She toured with Bob Dylan and on her own in support of the album. Williams followed up the success of Car Wheels with Essence (2001). This release featured a less produced, more stripped-down approach both musically and lyrically, and moved Williams further from the country music establishment while winning fans in the alternative music world. She won the 2002 Grammy Award for Best Female Rock performance for the single "Get Right With God", an atypically uptempo gospel-rock tune from the otherwise rather low-key release. The title track was co-written and co-recorded with alternative country musician Ryan Adams. Williams released the album "West" on February 13, 2007, to mostly good reviews. The material is highly personal, chronicling the death of her mother and the breakup of a turbulent relationship. Lucinda released her ninth studio album, "Little Honey", on October 14th.